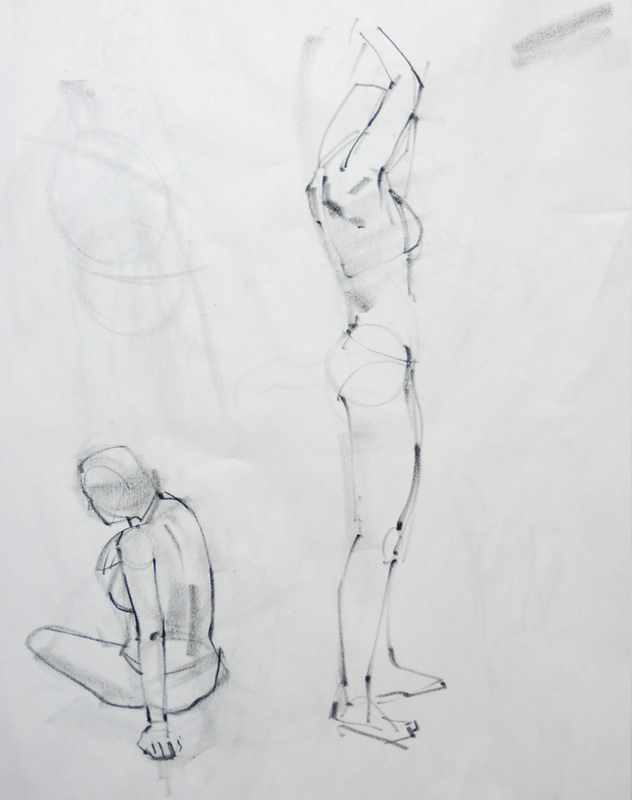 I teach figure drawing at the 100 level at Brigham Young University. 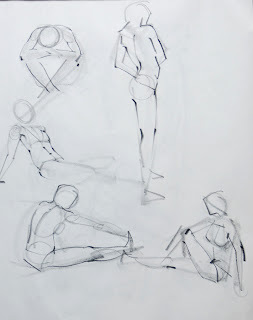 We focus a lot on the form figure and a simplified version of anatomical structure in this class. 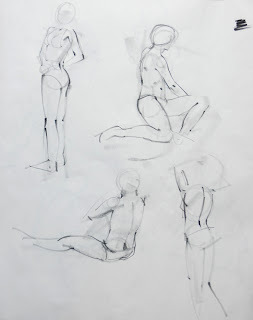 Students initially begin with the line of action, an armature, basic form figure, anatomical contours and notations, and simple light and dark value structure. We've just started applying enveloping and comparative measuring techniques using the head as a basic system of measure. This first image is an example of the process. 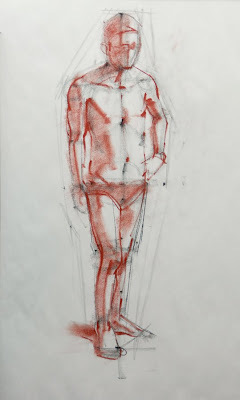 The black conte was used for the underlying aspects and I saved the red conte for the contours. 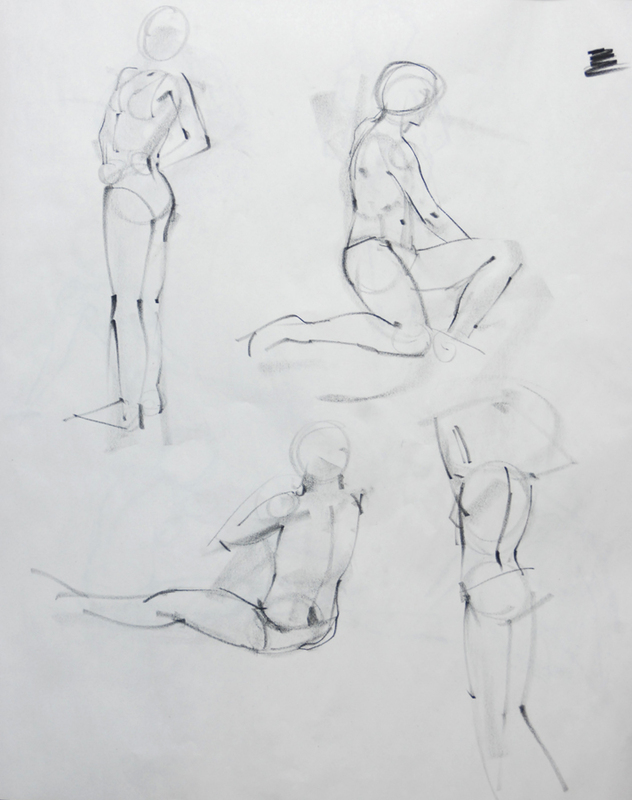 I had them break the drawing down into 20 minute segments for a one hour drawing. 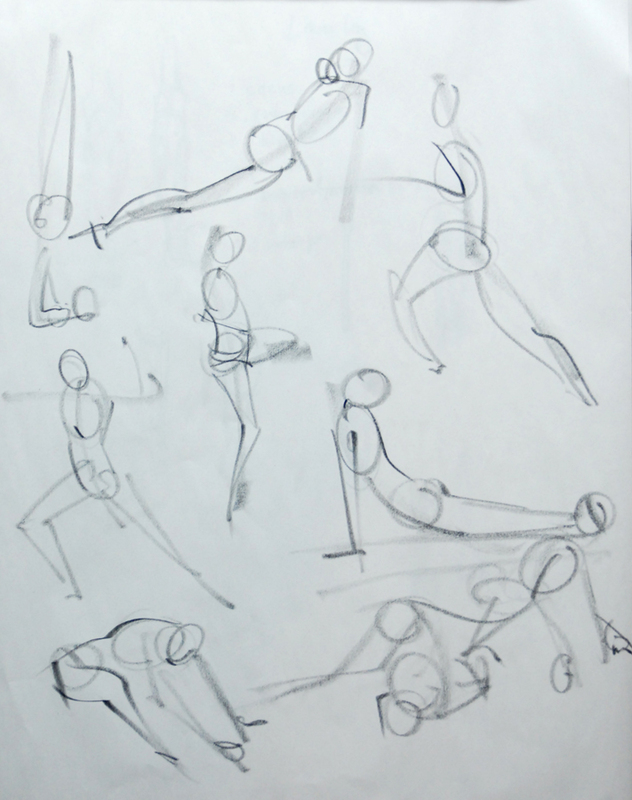 The First 20 was used to place the Line of Action, the head heights and widths, and the envelope. 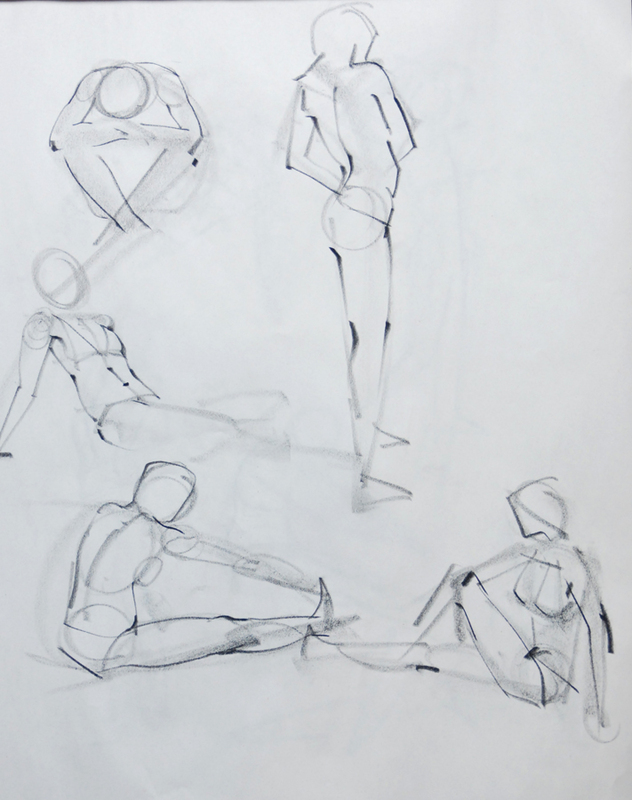 The Second 20 was used to lay in the armature and the form figure. The Third 20 was used to put in the contours and values. I spent about 10 minutes on this drawing, working up to each level quickly and then going around to check and see how everyone else was doing. 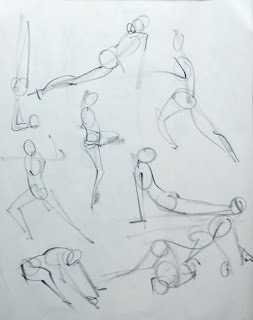 We start out each class by warming up with quick gestures. 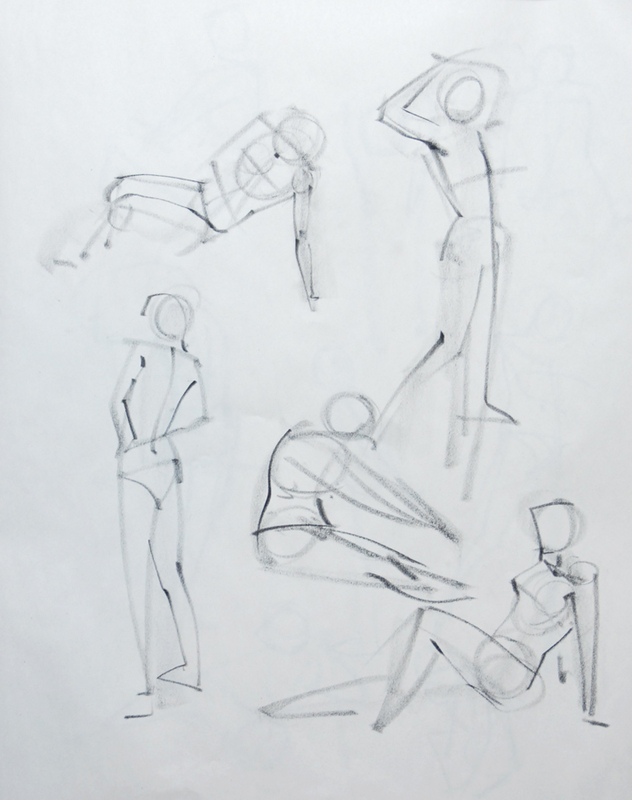 We start at 3 minutes and work our way down to 10 second poses. This is a sample of one session progressively going from 3 minutes to 10 seconds. 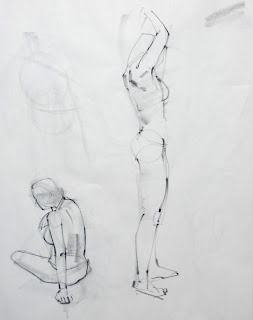 In these drawings you can see the underlying armature and line of action and how I apply them.